The president of 32BJ, the nation's largest property service workers union, has been able to grow his ranks, and showcase labor's strength and diversity. Labor Day may be a time to celebrate workers, but organized labor has recently taken some serious hits. Only about 11 percent of American workers belong to a union. In June, the Supreme Court ruled that state government employees do not have to pay union dues to cover the costs of collective bargaining. And the Trump administration is pursuing policies that many view as anti-union. But unions can still grow and be a powerful force in the economy, says Héctor Figueroa, president of local 32BJ, an affiliate of the Service Employees International Union. Figueroa is credited with reinvigorating his union and perhaps offering other locals a road map for success. With more than 163,000 members, 32BJ is the nation's largest union of property service workers. Its members include cleaners, doormen, security officers, building engineers, and food service workers in 11 states and Washington, D.C. 32BJ members work everywhere from airports to the Empire State Building, Broadway theaters and the Pentagon. 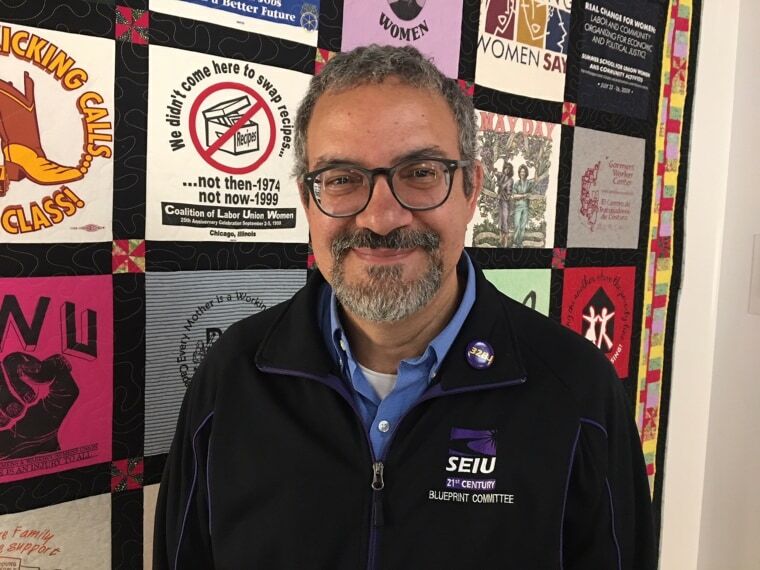 Since Figueroa became president of 32BJ in 2012, the local has added nearly 50,000 members, including 18,000 from a merger with another local and 30,000 from organizing campaigns. Figueroa was practically born into the labor movement. He is from Ponce, Puerto Rico, where his parents were part of a long-running struggle to get a teachers’ union. His parents went on strike in 1974, yet it wasn’t until 24 years later that teachers on the island won collective bargaining rights. This victory was personal for Figueroa, who at the time served as SEIU Organizing Director for Puerto Rico. Figueroa came to the mainland U.S. in 1982 and later helped organize textile workers in North Carolina. In 1995, he joined SEIU’s Justice for Janitors campaign. Since then, he has been involved in efforts for immigrants’ rights, the “Fight for $15” for fast-food employees, and advocating for Puerto Rico after Hurricane Maria. Meanwhile, the broader labor movement is at a crossroads. The Supreme Court ruling in Janus v. AFSCME amounted to a setback for labor. Although the decision only affects government workers, it could lead to cases that further weaken unions, said Chuck Rocha, president and founder of Solidarity Strategies. “Basically, unions are funded by dues-paying members, and this decision allows some members to stop paying dues — which means less money to operate the union," said Rocha. The Janus lawsuit was brought by conservatives to undermine the labor movement, Rocha said. “It is literally weakening the voice of American workers, thereby weakening the voice of constituencies like Latinos as well," he said. One study predicted that the Janus ruling could lead to unions losing 726,000 members. Figueroa said that unions have to adapt. Figueroa said he's undeterred by trends such as the rise of the “gig economy.” Unions should be concerned when there are major changes in how work is performed, he explained, but not necessarily afraid. Figueroa pointed to recent efforts to create regulations that will protect New York City taxi, Uber, and Lyft drivers as an example of how unions can organize across an entire industry, rather than the traditional model of company by company. Reaching out to the nation's Hispanics, Figueroa noted, is key to growing union membership. “If you want to build the labor movement, you should look to where Latinos are working, where they are present, and have programs that appeal to them,” he said. Hector E. Sanchez, executive director of the Labor Council for Latin American Advancement (LCLAA) agrees that Latinos are critical to the future of labor. “At a time when Latinos and immigrant workers are the most vulnerable workers, we are the ones who need unionization the most,” he said. According to the Bureau of Labor Statistics, last year 9.3 percent of Hispanic workers were members of a union. Research from LCLAA shows that Latinos suffer more minimum-wage and overtime violations than any other ethnic group, and are more likely to work in low-wage jobs. Sanchez sees organizing Latino workers as a win-win situation. Hispanics can provide the labor movement with a younger, growing potential membership, and Latinos need unions and collective bargaining to obtain better wages and working conditions. “Plus, we must have a labor movement that represents the tapestry and diversity of our nation," said Sanchez. Hispanics have long played important roles in the labor movement, from icons like United Farm Workers founders Cesar Chavez and Dolores Huerta to union leaders like Dennis Rivera representing health care workers and Eliseo Medina at the SEIU. Gertrudis Lopez, a contracted cabin cleaner at Newark Liberty International Airport, said (in Spanish) that organizing with 32BJ is about more than higher wages. A grandmother, Lopez took part in a civil disobedience action at Newark Airport on Martin Luther King Jr. Day in 2016, to make the point that airport workers deserve a dignified life through union wages benefits. Figueroa hopes to build on the commitment of members like Lopez to grow 32BJ. In the Trump era, he believes unions need to emphasize that the president has not kept his promises on infrastructure, or on a tax cut that benefits all Americans. Unions must also participate in the resistance and bring the voices of working people into movements like immigration reform, Me Too and Black Lives Matter.